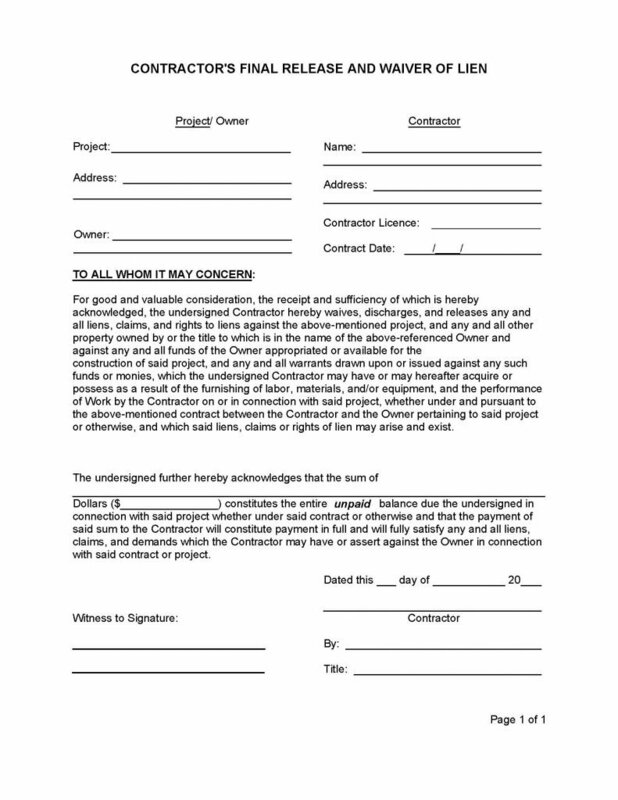 The contractor release form (final waiver of lien) is a legal document, that is given to a client after they have cleared their negative financial standing with the contractor and/or subcontractors who have completed work on a client’s home or property and was left unpaid at the end of the project. Generally the lien (also known as a “mechanic’s lien,”) is imposed upon the property because the client has failed to pay the contractor in full or has disputed the work or the quality thereof and refused to pay for the services rendered. Once the contractor has collected the money owed, in it’s entirety, that the client has owed and failed to or refused to pay for contractor’s services, the document would be completed, notarized and given to the client to show that the lien has, in fact, been lifted and the contractor would no longer have any interest in the property. 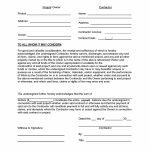 Signing of this document will require a witness to the contractor’s signature in agreement with the language of the document. The contractor should make a copy of the document for their records and provide the owner with the original.